‘Tis the season to put on your fuzzy socks, grab a mug of hot chocolate, and snuggle up next to the fireplace. But how do you keep your fireplace safe all season long? The best tools you have are your eyes: with regular visual inspections both inside your home and out, you’ll make sure your fireplace is in good shape. Here are some additional tips for keeping the heart of your home burning safely all winter. Make sure to keep curtains, clothing, furniture and other combustible items away from your fireplace at all times. 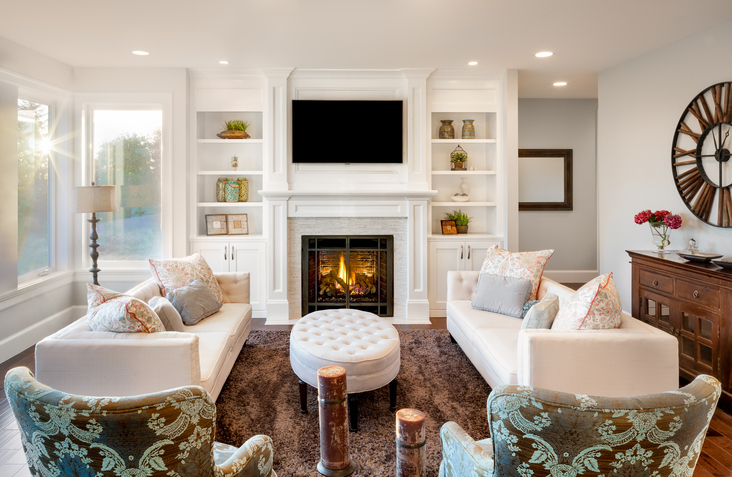 Fireplaces can reach extremely high temperatures while in operation, even when they’re cooling down and the coals can remain hot enough to start a fire for up to three days. The chimney should be inspected at least once a year or after about 80 fires. You can have a certified chimney sweep inspect and clean the chimney when necessary and have him or her show you how to check it yourself, too. The simplest way to reduce the risk of burns is to put a safety screen securely in place when your fireplace is in operation. The glass and metal around your fireplace will reach extreme temperatures during operation and remain hot for a period of time, even after it’s been shut off. A safety barrier will help keep children and pets a safe distance from your fireplace. Communicating to everyone in your family the procedures to follow while enjoying the fireplace will help keep everyone safe. Carefully supervise children and pets during and after fireplace operation and never leave a fire unattended when children are in the house. Keeping your family safe is your highest priority, so let us help you take the first steps to create a safe, beautiful space for you and your family to enjoy for many years to come. Contact us to learn more about our approach to land development. We would love to discuss available lots and opportunities with you. Say Hello to the Hortons!